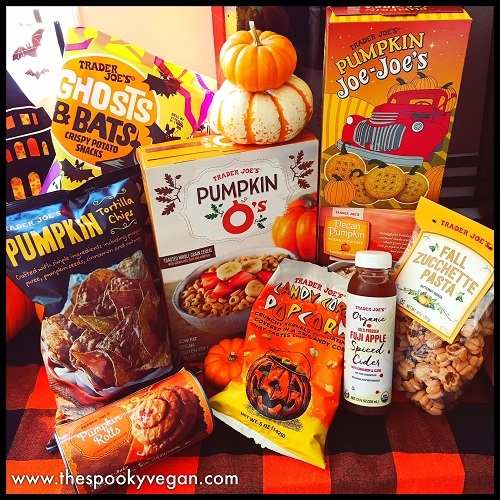 The time has arrived, for pumpkin everything and I couldn't be more excited! 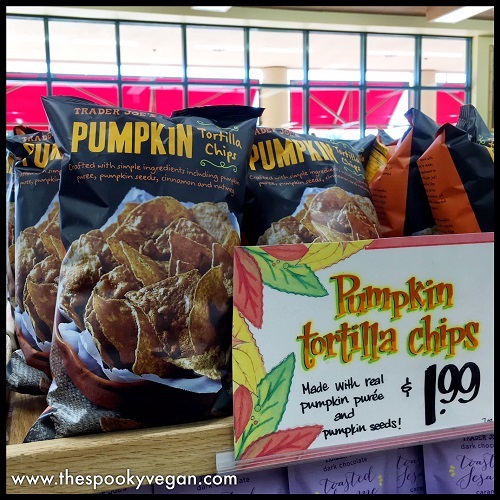 I am a pumpkin fiend and will inhale anything pumpkin-flavored (as long as it is vegan, of course). 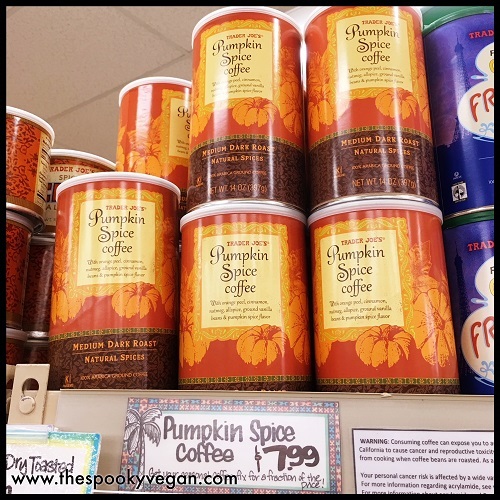 From early September onward, I start stalking stores waiting for pumpkin products to start sprouting from shelves. 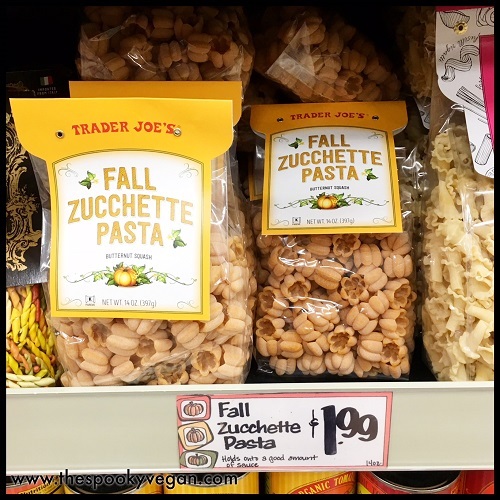 A few weeks ago, I popped into Trader Joe's and was delighted to discover a cornucopia of pumpkin food and other autumn items lining the shelves! 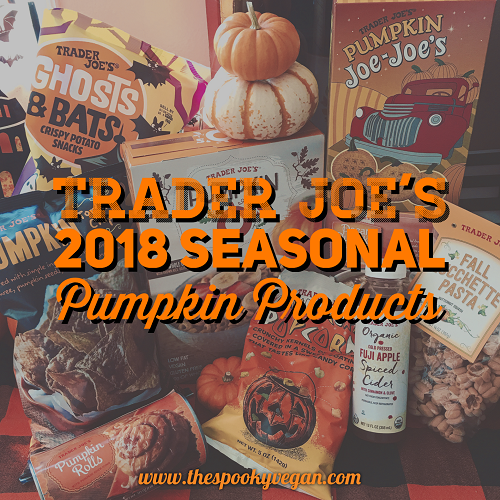 This isn't everything they are releasing this year, but I did want to give you a peek at what I found so far, check out all the pumpkin-y goodness (as well as a few other autumn items) below! 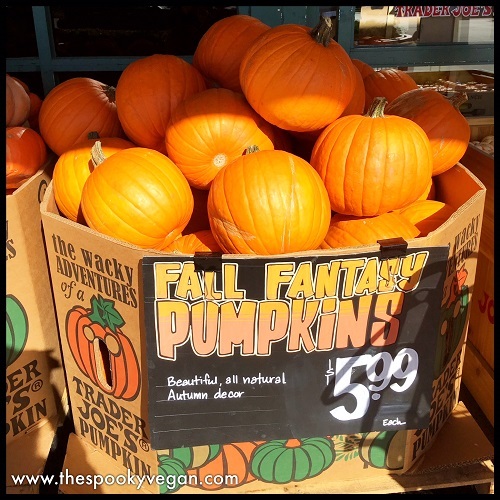 And the big orange ones are always rad for carving! 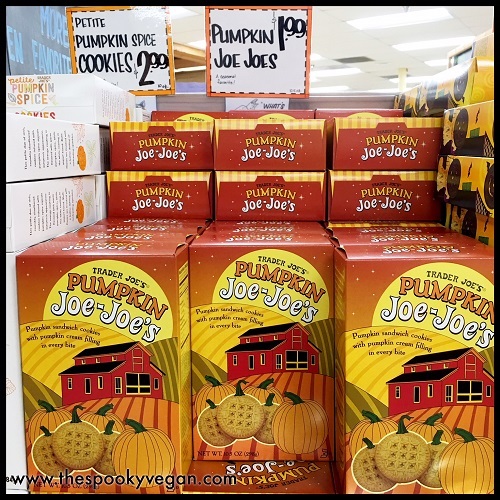 Pumpkin Joe-Joe's are my fave - so good dunked in coffee! 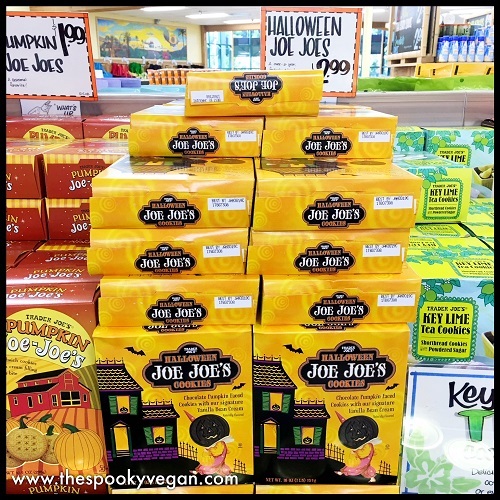 of their cute jack-o-lantern cookies! tastes like caramel corn. 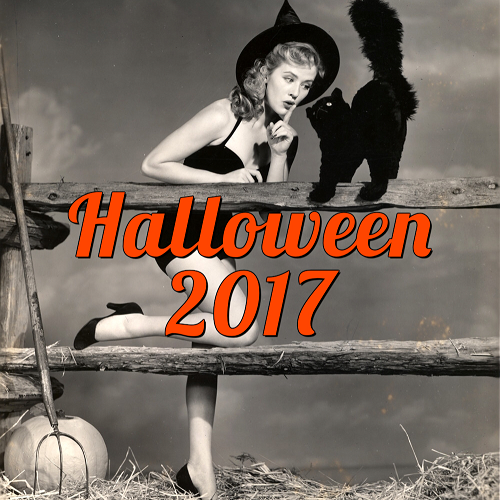 It is so sweet and so crunchy-delicious! 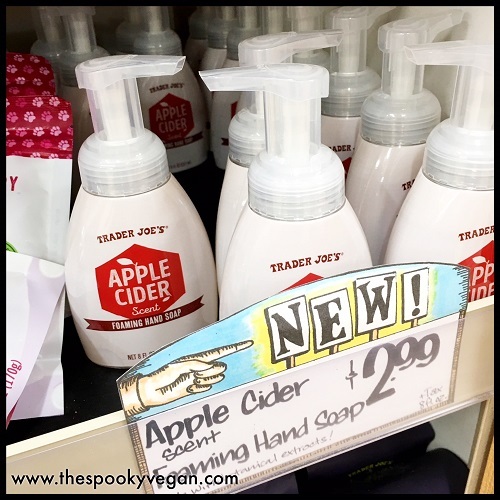 This Apple Cider scented foaming hand soap is so good and smells so crisp! 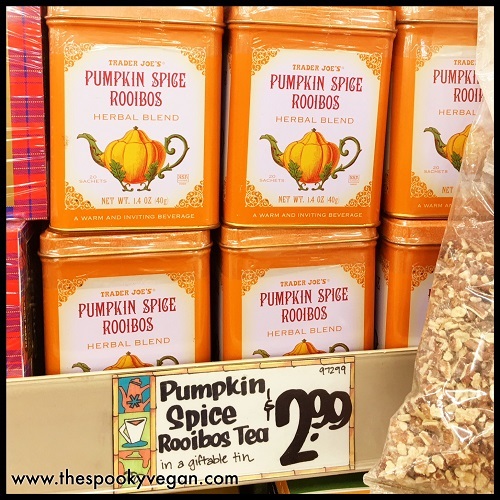 Pumpkin Spice Rooibos Tea is an old favorite - love the tin it comes in as well! 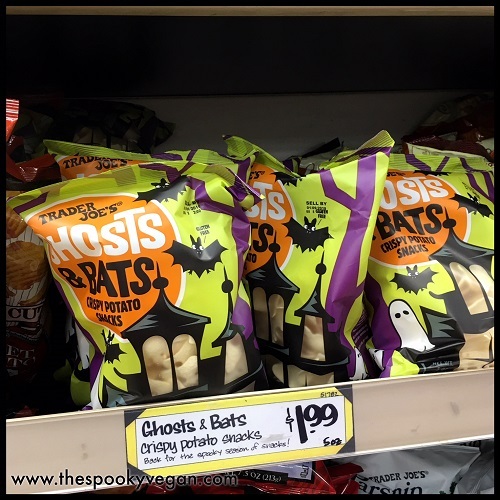 are they adorably shaped like ghosts and bats, but they are so tasty!! 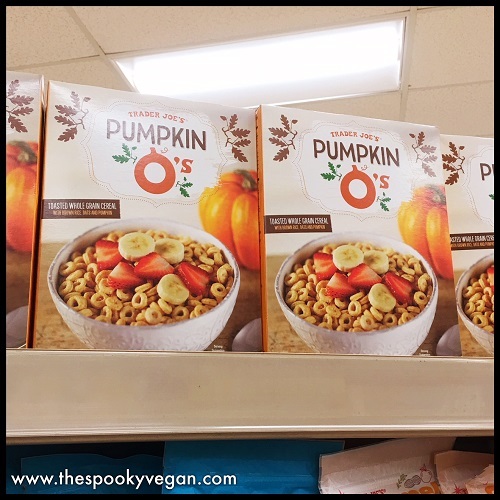 Pumpkin O's - the breakfast of Halloween queens and kings! 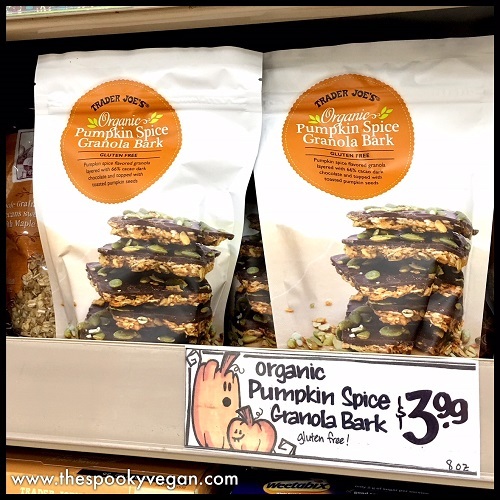 I tried this Pumpkin Spice Granola Bark last year and it was delicious! 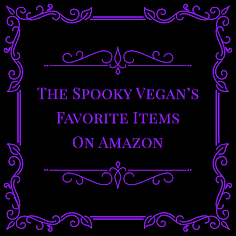 over some vegan chili as well! breakfast. 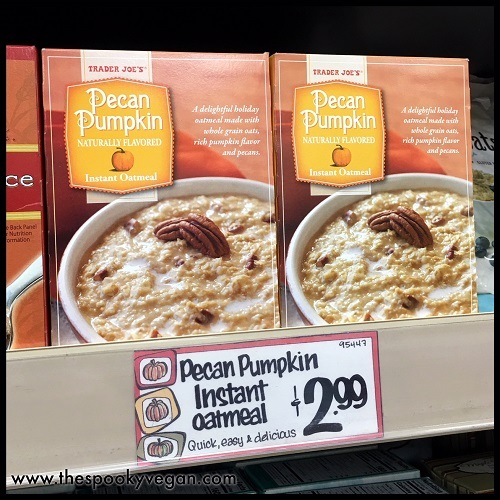 The flavors in this oatmeal are soooooo good! 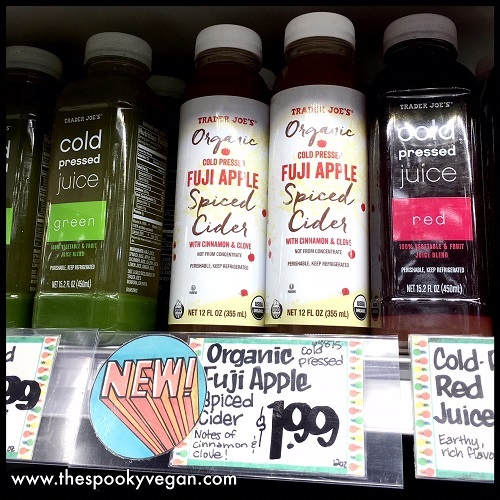 This Cold Pressed Fuji Apple Spiced Cider is like autumn in a bottle! 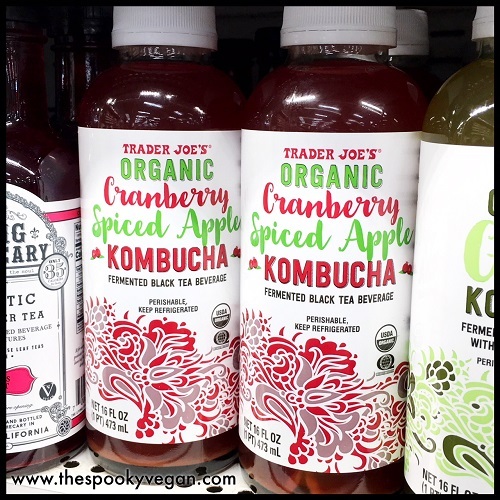 It is so good I can't wait to go back and buy more! 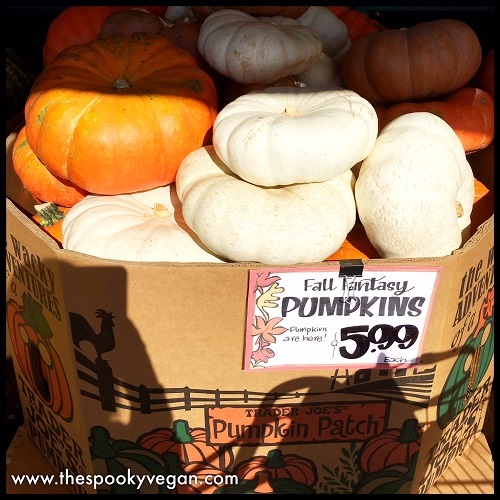 update this post if I find anything else that is vegan there for autumn. 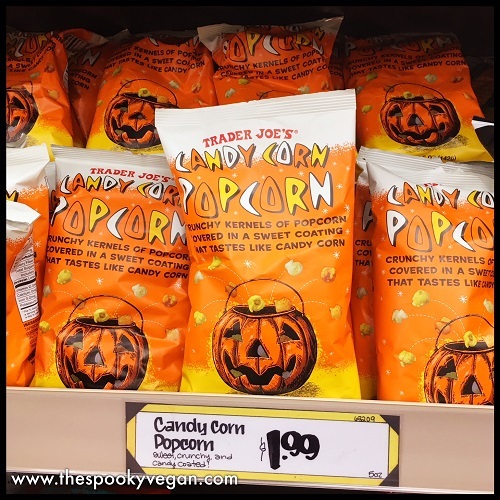 What are your favorite fall/Halloween products from Trader Joe's? 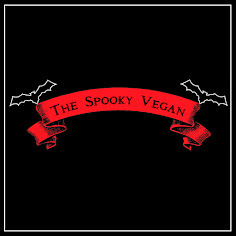 This is my 1st Halloween where I'm eating a Meatless Diet, so the Holidays will be interesting. 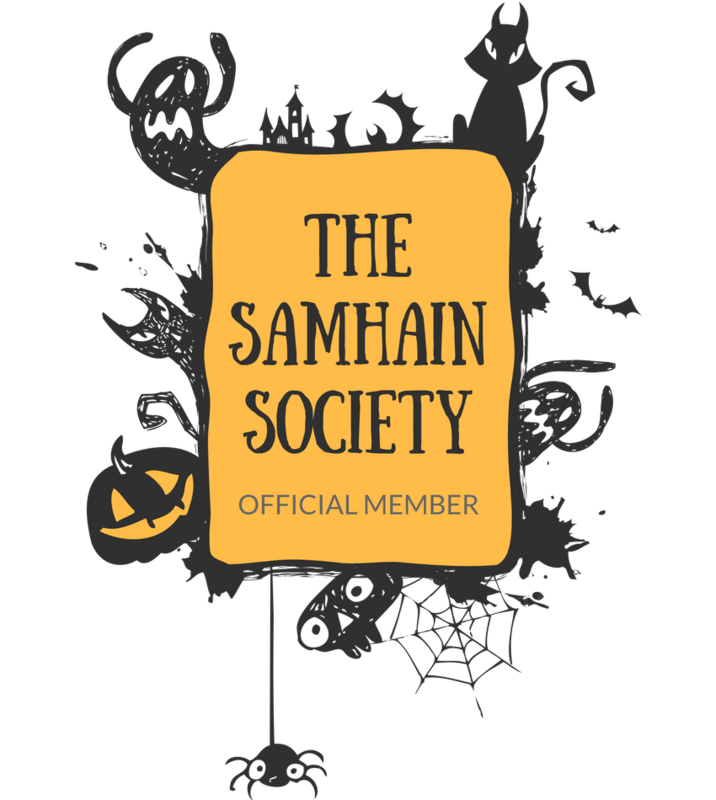 Haven't felt deprived, lots of great substitutes and I'm getting ideas from the Vegetarian and Vegan Blogs I can find. 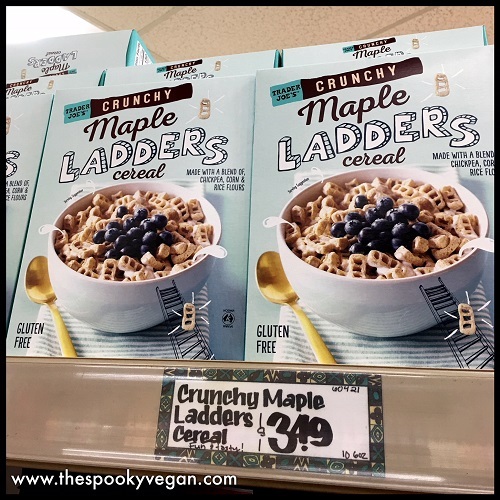 I think those maple ladders are an all year sort of thing, I get them for my son for his breakfast. I personally am not a fan though. 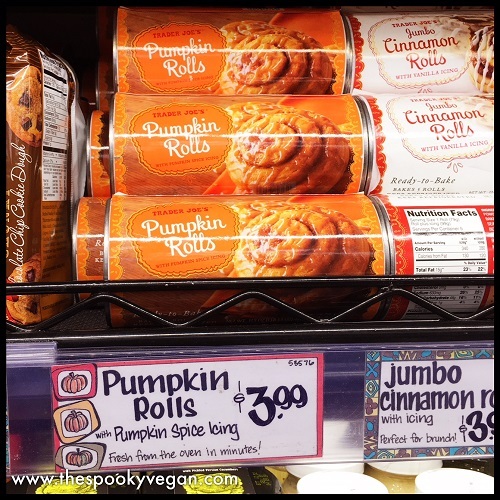 I love to get those cinnamon buns and save them for Christmas for an easy dessert/brunch food.